Police in Latin America and Europe have apprehended 25 people believed to be members of Anonymous, the international group of hackers and “hacktivists,” according to Interpol. 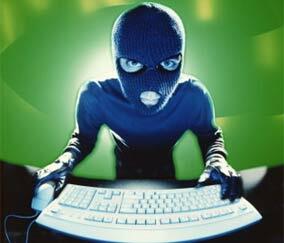 The 25 arrested are suspected to have hacked Colombian and Chilean websites. Currently, Interpol’s own website appears to be under attack, perhaps in retribution for the arrests. The site loads, albiet very slowly. The 25 suspects vary in age from 17 to 40 years old. According to Spanish authorities, one of the hackers arrested in Spain is believed to run Anonymous’ computer network in Spain and Latin America. On Monday, the secret-spilling organization WikiLeaks released a massive cache of emails from a private security firm. While WikiLeaks didn’t mention Anonymous in its release about the leak, Anonymous took credit for getting the emails and sending them on to WikiLeaks. Interpol, which stands for the “International Criminal Police Organization,” works to coordinate international police activity. Given the widespread and global nature of hacker groups such as Anonymous, international communication is necessary in the identification and apprehension of those believed to have committed a crime.